One of the most popular pieces of outfit is the leather jacket. This amazing outerwear successfully completes almost any type of outfit combo. There are many models of leather jacket: classic, motor, bomber or aviator. 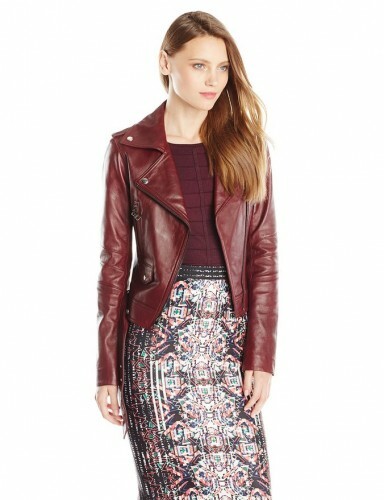 This leather jacket looks great and it is perfect for spring. It is very chic and versatile no matter your personal style. This is a great motor leather jacket. It looks very cool with its exposed zips on the pockets and off-center placket. 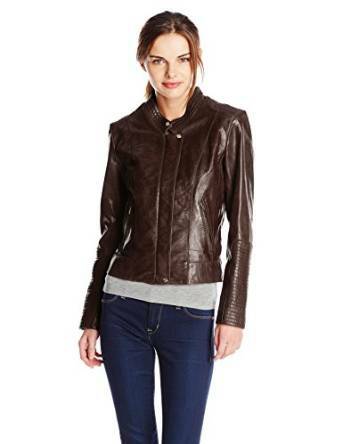 This jacket looks great and has very soft leather. It is versatile enough and you can pair it with many outfit pieces. 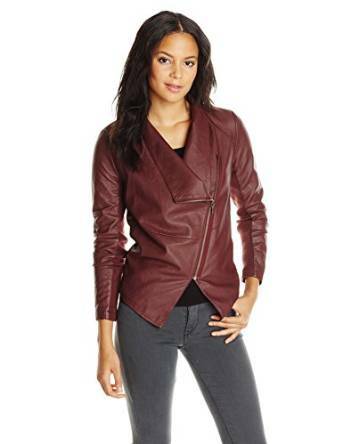 With zip front moto jacket featured notched collar and multiple front pockets, this amazing jacket looks great. 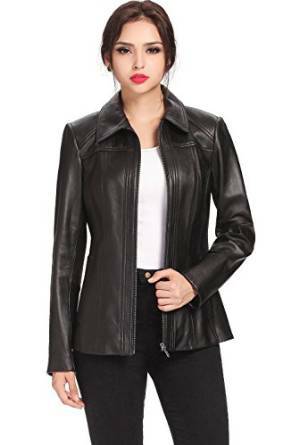 This stunning leather jacket has an exposed zip at the asymmetrical placket. It is very chic and why not to mention it… affordable. 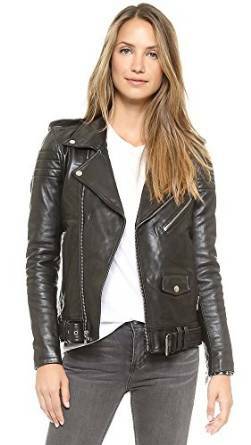 This is a very chic 100% leather jacket. 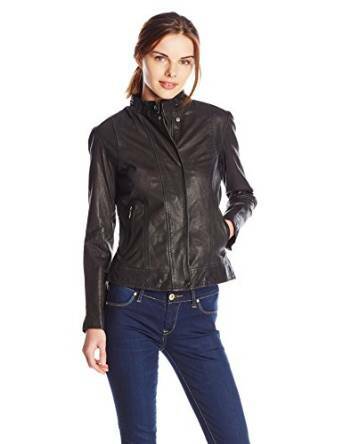 It has zip-front leather jacket featuring snap-tale collar and zipped side-entry pockets. It is also very soft and stylish.